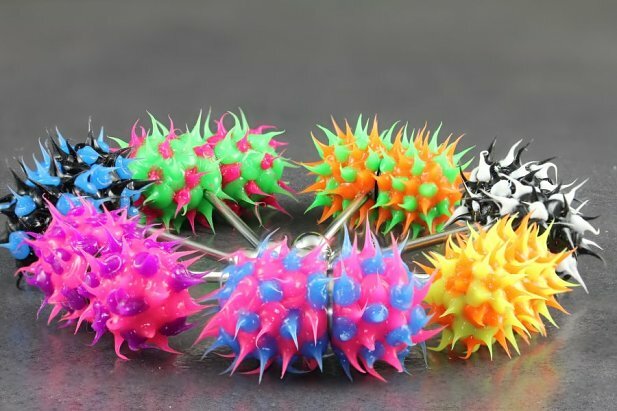 Soft and Colourful are our Koosh Vibrating Tongue Bar. 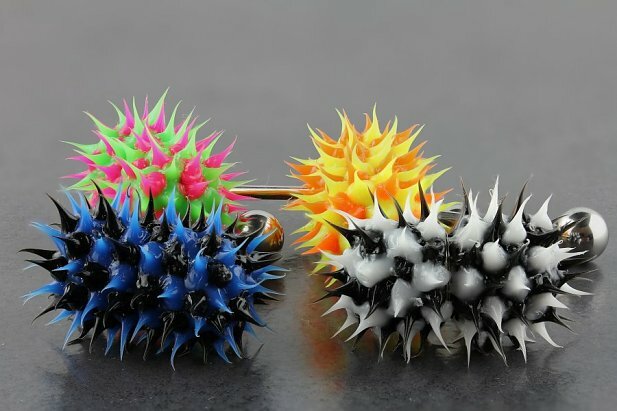 Crafted entirely in Surgical Stainless Steel with a silicone covered koosh ball on the top, available infour (4) colour combinations there is one to suit all personal styles. 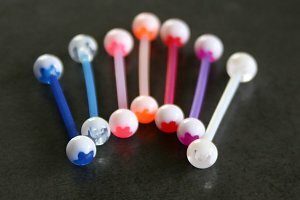 The koosh silicone part of the tongue bar vibrates and being water resitant is ideal for those active both in and around water. 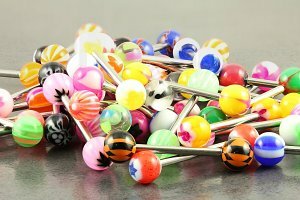 This acrylic and kooshball end are extremely durable and great for an active, on the go person. 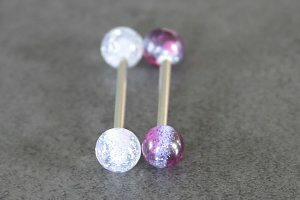 It's a perfect tongue ring for everyday wear and everyday use. Price is for one. 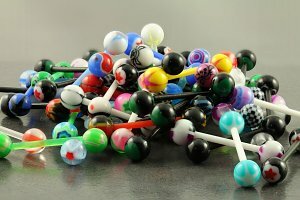 "Its a funky colour however is too big and bulky and its vibration is to weak I threw it out in the end "
"Really good and powerful vibration"
"had a blast using this one with my partner. Highly recommended!!!"